From a recent Kolbe & Fanning auction, the ANS Library has acquired a bound volume of three pamphlets by renowned artist and engraver Augustin Dupré, famed for his work on French coins and for his designs of early U.S. medals, particularly the Libertas Americana. The volume is from Dupré’s own library. 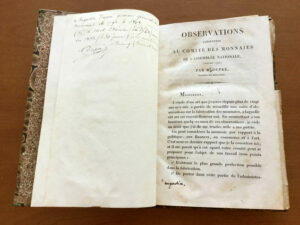 The pamphlets date from the period of the French Revolution and concern the redesign of coinage during the revolutionary era. Some of the proposals suggested by Dupré in one of the pamphlets (Observations Présentées au Comité des Monnaies de l'Assemblée Nationale, 1790) were adopted, and in 1791 he was appointed graver général des monnaies. His management methods and coin designs came up for some criticism during the politically tumultuous time, and another pamphlet in the volume (Réponse à l'écrit de M. Beyerlé, 1791) has him mounting a defense against these attacks. The third pamphlet (Observations Rélatives au Mémoire que la Commission Générale des Monnoyes, 1793) is a response to an official report on the redesign of coinage that had been submitted to the revolutionary government, thus providing a window into the artist’s beliefs. We would like to thank ANS Fellow David Gladfelter for contributing to the purchase of the volume. At the beginning of September, The Emperor's Beloved: Investigating a Roman Portrait opens in the Special Exhibitions Gallery at the San Antonio Museum of Art in Texas. The exhibit is inspired by one of the museum’s masterpieces—a marble head of Antinous, the beautiful youth beloved by the Roman emperor Hadrian. The San Antonio Museum’s portrait shows Antinous in the appearance of Dionysus or Bacchus, the god of wine, recognizable by his wreath of ivy leaves. 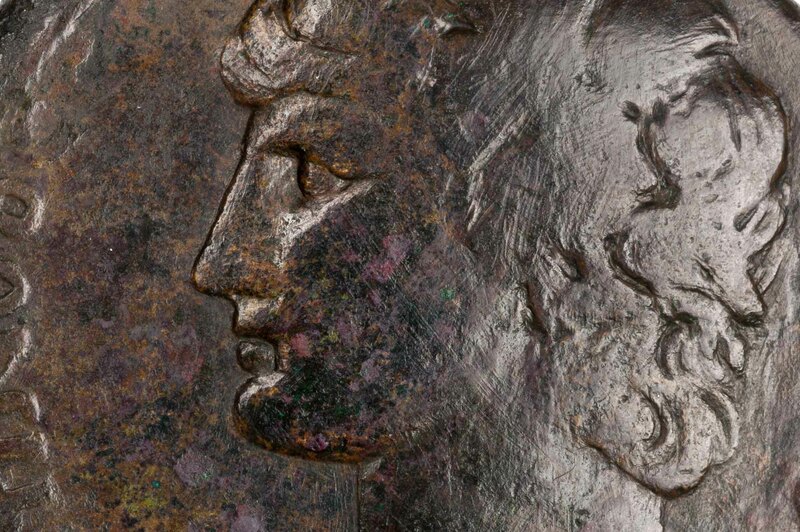 One of the pieces lent by the ANS is a bronze coin from AD 238–244 (1944.100.72423) featuring on the reverse a statue of Dionysus in the same resting pose as the San Antonio Museum’s marble portrait. 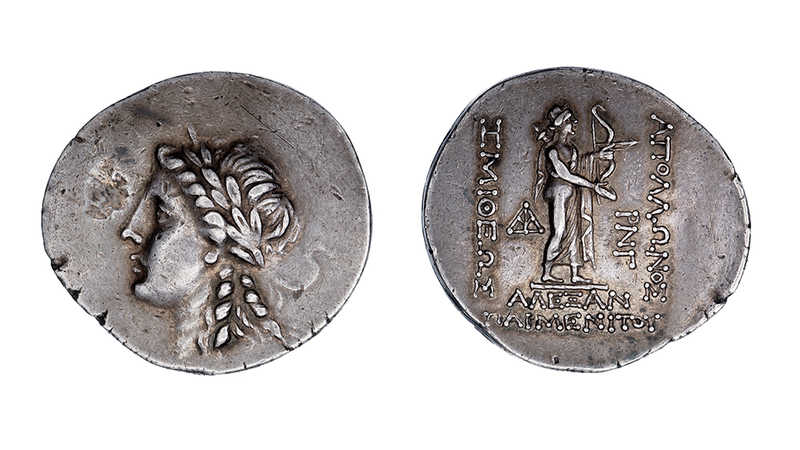 Another ANS coin from AD 134/135 (1944.100.54538) portrays Antinous on the obverse, wearing a miniature hemhem crown—perhaps it is similar to the element that once completed the San Antonio Museum’s portrait. The exhibit will be open until November 26, 2017. On August 25, 2017, the ANS was pleased to get a visit from Jeff Starck senior editor at Coin World, and Sebastian Wieschowski, a numismatic journalist from Germany. They were given a tour of the vault by our curatorial staff, viewing a number of the highlights of our collection, and discussed ANS efforts to reach a wider numismatic audience in relation to rapid changes in technology and social media. 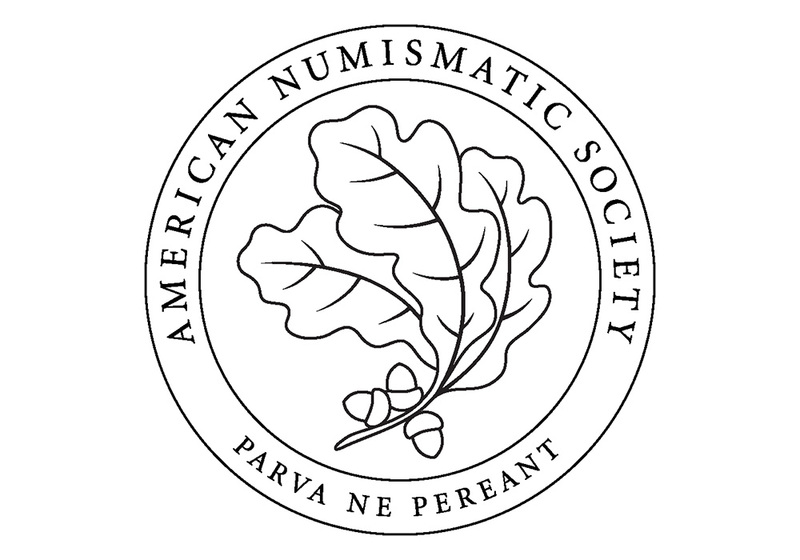 Over 4,300 documents in the ANS library have been scanned since November 2015, thanks to the sponsorship of the Newman Numismatic Portal (NNP). These documents are now available via the ANS online library catalog, DONUM, as well as the NNP. Library patrons using DONUM can now see “online resources” in the library catalog description, which link to the scanned document on Internet Archive. 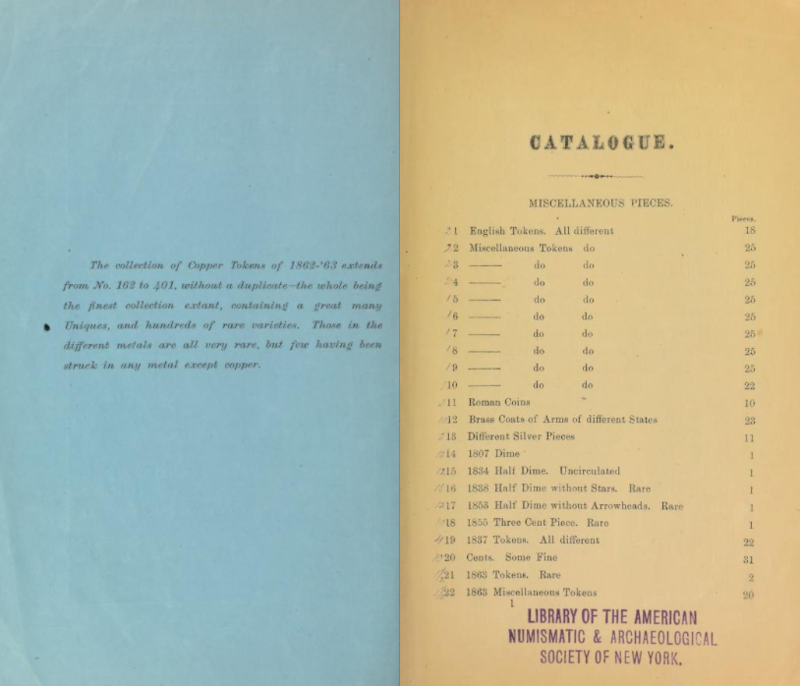 Scanning at the ANS has focused on 19th century and early 20th century American numismatic auction catalogs, and in many cases, duplicate examples exist in the ANS collection, often with unique annotations. DONUM notes this as “link to copy 1,” “link to copy 2,” etc., so that all copies may be obtained by the user (example here). This project was facilitated by David Hill (ANS Librarian), Tomas Arazi (DONUM programmer), Len Augsburger (Newman Portal Project Coordinator), and Jake Johnson (Internet Archive), who oversees the Internet Archive API. The ANS would like to thank Len Augsburger for his personal donation that funded the development of the software plugin that made the linking project possible. 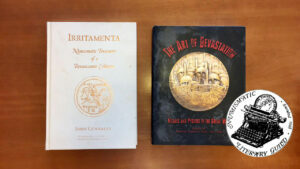 The Art of Devastation: Medals and Posters of the Great War,edited by Peter van Alfen and Patricia Phagan, took home the prize for Best Specialized Book on Tokens and Medals. The 2017 recipient of the Burnett Anderson Memorial Award for Excellence in Numismatic Writing was presented to Donn Pearlman at the Denver World’s Fair of Money earlier this month. The award is presented annually under the auspices of the ANS, the ANA, and the NLG, with the sponsorship of Krauss Publications. Mr. Pearlman was recently named NLG’s Acting Director, following the tenure of Ed Reiter who served as Executive Director of the NLG from 1990 until his passing on August 24, 2017. The ANS mourns, with the entire numismatic community, the passing of Ed Reiter who was the 2014 recipient of the Burnett Anderson Award. Coins, Artists, and Tyrants is now Available! Our latest publication is now available! 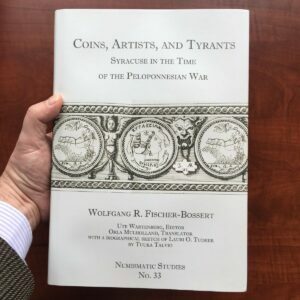 Coins, Artists, and Tyrants: Syracuse in the Time of the Peloponnesian Warcontains the first fully translated and revised text of Lauri O. Tudeer, Die Tetradrachmenprägung von Syrakus in der Periode der signierenden Künstler—over 100 years after its first publication. A biography of Tudeer is included plus a completely new evaluation of signed coin dies and the artists who produced them. Wolfgang R. Fischer-Bossert has updated the scholarship and bibliography on signed Syracusan tetradrachms, making this book the single most important source on the subject. The book includes plates, a full-color die-link chart, and three pull-outs featuring Syracusan tetradrachms and hoards. The next “Money Talks: Numismatic Conversation”, Counterfeits: the Threat to Collecting and Scholarship, will take place on Saturday, September 16, 2017 at 11:00 am with David Hendin, Robert Hoge, and Ute Wartenberg. 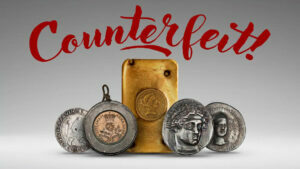 They will discuss the issues that collectors, dealers, and scholars face today when it comes to counterfeit coins. Although counterfeit coins have been around since the Renaissance, new technologies, like digital printing, and our global economy have vastly increased the number of counterfeit coins of all periods and countries. The ANS experts, who have all worked and researched counterfeiting for many decades, will discuss the history of counterfeiting, methods of detection for the collector and share some of their knowledge of how counterfeit coins are made today. 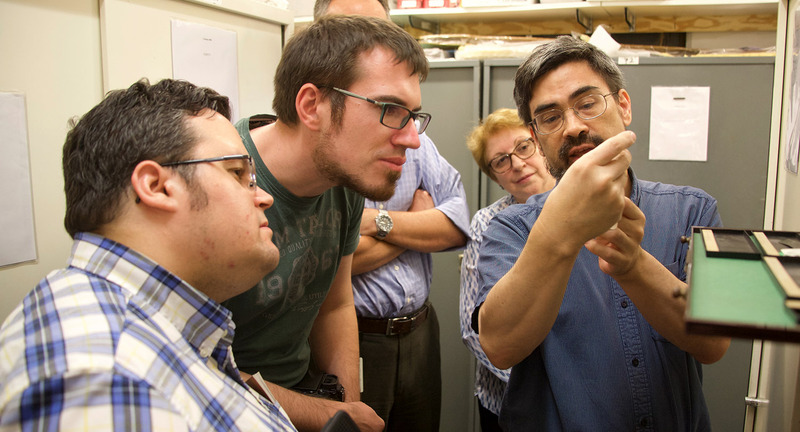 They will also discuss advanced aspects of laboratory testing coins for authenticity, and also illustrate results from a controlled laboratory attempt to create convincing forgeries of ancient bronze coins. Hendin will be bringing fakes from his personal collection and the ANS staff will share some recent donations of Chinese counterfeits of US coinage. Participants are welcome to bring their own specimens of counterfeit coins. There is a $50 charge for members and an $85 charge for nonmembers. 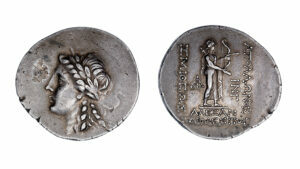 Please contact Emma Pratte at membership@numismatics.org or 212-571-4470, ext. 117 to RSVP and for more information. “Money Talks: Numismatic Conversations” is supported the ANS endowment fund generously given in honor of Dr. Vladimir Clain-Stefanelli and Mrs. Elvira Clain-Stefanelli. The day before our September “Money Talks,” the ANS will present a lecture by Aneurin Ellis-Evans (Lecturer in Ancient History at Brasenose and St. Anne’s Colleges, Oxford) on Friday, September 15, 2017 at 5:30 pm. 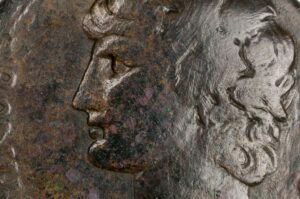 Mouse-Killing Apollo and His Coinage: New Light on the Mint of Alexandreia Troas in the Hellenistic Period will cover how, in the 2nd and 1st centuries BC, the city of Alexandreia Troas in north-west Turkey produced a long-running silver coinage in the name of a local deity, Apollo Smintheus, who is first attested to in the opening lines of Homer’s Iliad. This talk will present a work in progress on the wealth of new evidence we have for this series which sheds light on the history of Alexandreia Troas during the period of Rome’s conquest of the Greek East. 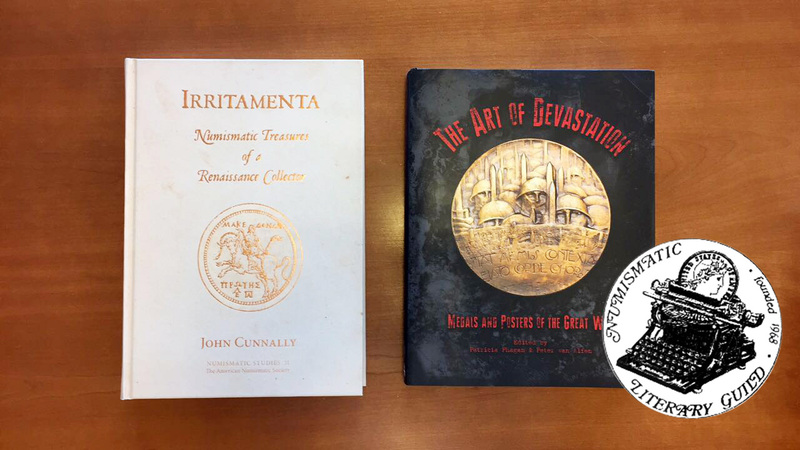 Please contact Emma Pratte at membership@numismatics.org or 212-571-4470, ext. 117 to RSVP and for more information. On October 20, 2017 Roger Bland will receive the 2017 Archer M. Huntington Award in recognition of his outstanding contributions to the Numismatic community. Dr. Bland retired in 2015 as Keeper of the Departments of Prehistory & Europe and Portable Antiquities & Treasure at the British Museum. He was formerly a curator in the Department of Coins and Medals and was seconded to the Department for Culture, Media and Sport from 1994 to 2003. 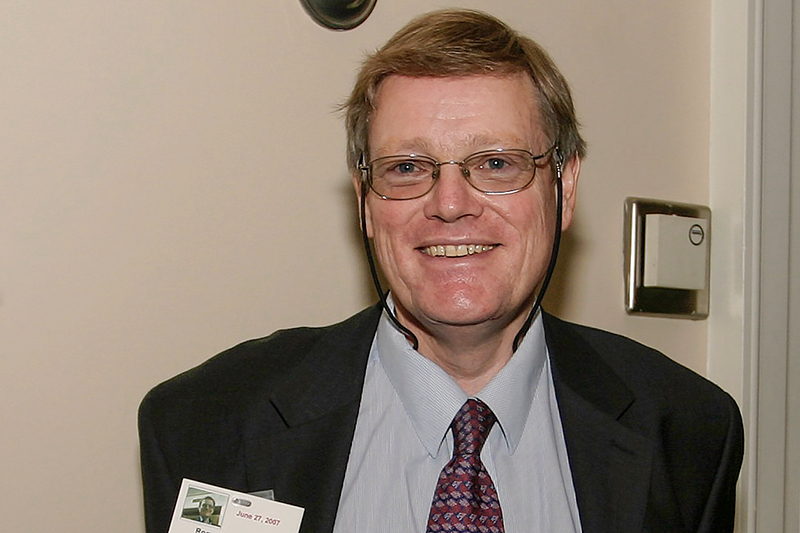 Professor Bland founded the Portable Antiquities Scheme, a project to record all archaeological objects found by the public in England and Wales, and for the operation of the Treasure Act. He is Visiting Professor at the University of Leicester and Vice-President of the Royal Numismatic Society and a Fellow of the MacDonald Institute for Archaeological Research, University of Cambridge. He was President of the British Numismatic Society from 2011-16. 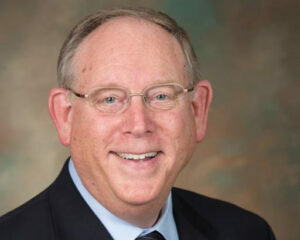 Among honors and awards conferred, Dr. Bland was presented with The Royal Numismatic Society Silver Medal in 2014, the French Numismatic Society's medal in 2013 and the President’s medal of the British Academy in 2016. He was made an Officer of the British Empire in 2009. He completed his PhD on The Coinage of Gordian III from the mints of Antioch and Caesarea at University College London in 1991 and has published over 200 books and papers on numismatics. The Society’s 160th annual meeting will be held on Saturday, October 28, 2017 at 3:00 pm. Officers of the Board of Trustees and staff will make remarks and presentations, and the election of Trustees will be held. The Society will unveil new donor plaques in recognition of outstanding support of the ANS. A YouTube video of the presentation will be made available for those unable to attend the meeting. Have you renewed your membership this year? It is not too late! If you aren’t sure, please contact Emma Pratte, the Society’s new Membership Assistant, and she can assist you. You can renew today for this year and 2018, at this year’s prices. You will receive two years of all the member benefits at the 2017 rate, including the ANS Magazine, free access to our library, consultations with our curators, discounts on publications, a reduced rate to our Money Talks lecture series, and invitations to special events. Renew online or contact the Membership Department at (212) 571-4470 ext. 117. 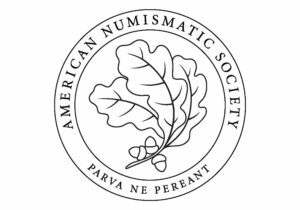 Make a 100% tax-deductible gift to help the ANS continue advancing and promoting the study, research, and appreciation of numismatics. The Society has made great progress so far this year, but we need your help to keep up the pace and continue our important work. Support the ANS by advertising in the award-winning quarterly ANS Magazine. The ad deadline for issue no. 4 of 2017 is November 1, 2017. 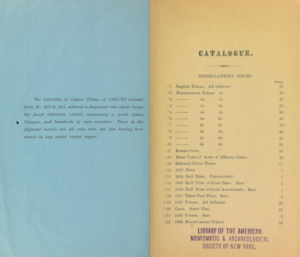 For more information about advertising rates and specs, visit the advertising page or contact Joanne Isaac, Museum Administrator, at magazine@numismatics.org or (212) 571-4470 ext. 112.